Historic Hotels of America has launched a new Super Site that lets you follow your American Dreams and choose from a variety of different vacation ideas, including family getaways, road trips, national parks and lands, culinary destinations, urban adventures, and more (http://americandreams.historichotels.org/index) featuring more than 260 historic hotels across the United States from Puerto Rico to Hawaii. Need a travel-inspired playlist? Check out these Road Trips Songs (http://americandreams.historichotels.org/road-trips/road-trip-songs) Want to salute our freedom? Book a historic hotel then visit these five national monuments. Feeling hungry? Scope out the best BBQ joints, bourbon trails and wine country by perusing the site’s culinary adventures. When visiting the American Dreams Super Site homepage, a number of navigational tools help travelers peruse the site’s many inspirations. The main navigation: The site is divided into six content sections — Family Vacations, Road Trips, Heritage & Culture, Culinary Destinations and Urban Adventures — with each of these pages showcasing article thumbnails. When a consumer clicks on the image, they navigate to that feature story. These stories include hotel advertorials, which solely feature participating hotels, and topical editorials, which highlight select destinations based on editorial content. Focus your family vacations in and around historic hotels. Most historic hotels include family-fun recreation and kid-friendly attractions. Whether you’re looking for a weekend getaway or a family vacation, Historic Hotels of America offers up everything from family beach vacations to amusement park thrills. Travel to Hershey, Pennsylvania, experience and Explore Hershey Park, an amusement park full of candy land thrills. After a day of fun, check into Hershey Park’s official resort, The Hotel Hershey®, built by chocolate magnate Milton S. Hershey in 1933. Or, travel to Tennessee and hop on board at the Chattanooga Choo Choo, a train-themed hotel. 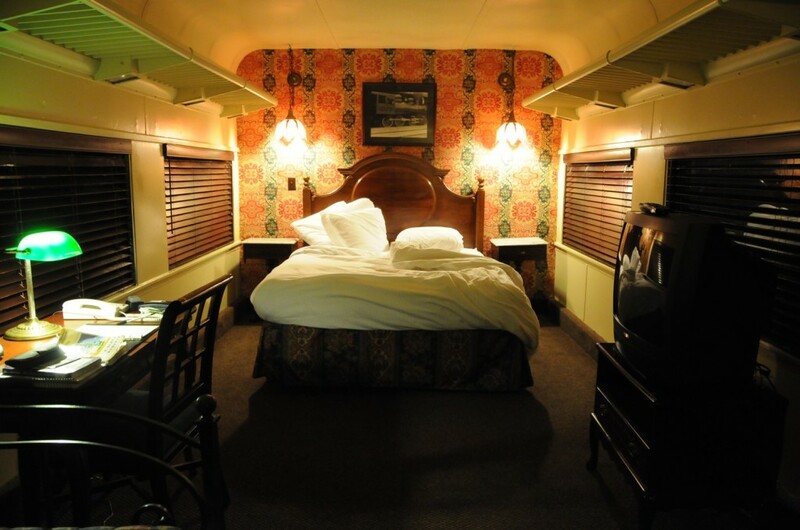 Once an operating train station in Chattanooga, Tennessee, the 106-year-old terminal station was converted into a beautiful hotel in 1973, where guests can opt to sleep in one of 48 authentic Victorian train cars. Pack up the car for a road trip, or scenic drive and stay in a historic hotels (http://americandreams.historichotels.org/road-trips). For example and long before the “interstate” was born, road trippers looked to Route 66 to venture across America. This 2,448 mile stretch is among America’s most famous roads, connecting a number of states between Chicago to California, with historic hotels along the way. Every road trip, whether spontaneous or planned, needs a few essential items — an adventurous route, road trip music and a reservation at Historic Hotels of America. There are plenty of historic hotels located along Route 66, with comfortable lodging and fantastic amenities. In Oklahoma City, Skirvin Hilton provides respite for the weary road traveler. This 1911 beauty was named after its founder, oil tycoon William Balser “Bill” Skirvin. Meanwhile, Colcord Hotel, the city’s first skyscraper, is another overnight stop in Oklahoma City. For a one-of-a-kind Historic Hotel experience, stray an hour away from Route 66 to stay at La Fonda in Santa Fe. Well worth the extra miles, you’ll experience an authentic Pueblo-style inn. Discover and Explore parks, lands, and heritage sites in and around historic hotels across the nation (http://americandreams.historichotels.org/national-parks). America is filled with innumerable treasures. Here’s a nod to the many parks, forests, monuments and byways that have long captured the hearts of the American traveler. For example, he Appalachian Mountains offer up the east’s breathtaking Blue Ridge Parkway and a myriad of national parks, protected forests many with nearby historic hotels. Scattered throughout the Blue Ridge Mountains, quant towns greet America’s road trippers, like Banner Elk, North Carolina, where the population barely peaks 1,000. In Banner Elk, The Mast Farm Inn provides a historic country retreat for travelers. The main inn features charming rooms with four-posters beds, claw-foot tubs and endless farmhouse charm. At the other end of the Blue Ridge Parkway, the Great Smoky Mountains National Park straddles the boarder of North Carolina and Tennessee. Just outside the Great Smoky Mountains National Park, in Asheville, North Carolina, one of the country’s most celebrated resorts calls the Blue Ridge Mountains home — The Omni Grove Park Inn. This AAA Four Diamond Property is listed on Fodor’s “Top 10 Luxury Spa Resorts” and in Travel + Leisure’s rankings of “Top Spa Resorts” in the world. Interested in ghost stories and the paranormal? Make your vacation truly memorable. Add a little heritage and a dash of culture by visiting one of many attractions near Historic Hotels of America (http://americandreams.historichotels.org/heritage-culture). Take in a nostalgic festival, visit a national monument or explore a historic battlefield. Your adventure awaits. We have legendary stories to share at Historic Hotels of America. Many historic hotels are rumored to have played host to more than just their paying customers. Whether or not you believe these ghosts stories, one thing is certain — these friendly hauntings leave guests talking about their hotel experience for years! Known as “America’s most haunted hotel,” the ghost stories are plentiful at 1886 Crescent Hotel & Spa. It’s said that one of the Irish stonemasons, known as “Michael,” plunged to his death after falling from Room 218 during hotel construction. Guests report a number of strange activities from this room. The inspiration for Stephen King’s “The Shining,” The Stanley has lots of haunting appeal, especially when guests tour the creepy underground tunnel that runs beneath the hotel. But that’s not the hotel’s most haunting aspect. The hotel’s original owner, F.O. Stanley is known to haunt the hotel. He and his wife have been seen dressed in formal attire on the main staircase and in other public areas, and Flora’s piano occasionally echoes in the ballroom. Experience culinary destinations, spirits, wine, food, festivals and trails throughout the country (http://americandreams.historichotels.org/culinary-destinations). There’s nothing like local flavor to add a little extra zing to your trip. From food festivals to fine dining, from Sonoma’s Wine Country to the Kentucky Bourbon Trail, Historic Hotels of America tips its glass to these culinary destinations. Interested in the latest vintages in the heart of Napa Valley? Nestled into the heart of Napa Valley, the Napa River Inn stands out as an upscale boutique hotel. The inn adjoins the historic Napa Mill, which offers dining, shopping and 7,300 square feet of outdoor reception space in the Riverbend Performance Plaza for wine-induced celebrations. For more then 200 years, generations of Bourbon brewers handed down secret-family recipes and time-honored processes that shaped today’s legendary Kentucky distilleries. Experience the Kentucky Bourbon Trail, and check into a Historic Hotel of America to enjoy more Kentucky history. Not far from the Bourbon Trail is The Seelbach Hilton, the height of Kentucky luxury. During the roaring 1920s, The Seelbach was the most glamorous spot for cards, attracting infamous gangsters, like Al Capone and the Beer Baron of the Bronx, during Prohibition. Bustling city centers located throughout the United States from New York to San Francisco are a great way to experience famous cultural icons, museums, and history while staying at nearby historic hotels (http://americandreams.historichotels.org/urban-adventures). Choose from 11 hotels in Washington, DC. The Jefferson, DC is a luxury hotel that celebrates and embodies the spirit of one of our founding fathers, Thomas Jefferson. Just four blocks from The White House, this downtown hotel affords a treasured account of its significant history alongside thoughtfully appointed accommodations, opulent meeting rooms, and gracious hospitality and service. National Trust for Historic Preservation members save up to 30% off best available rates at participating Historic Hotels Worldwide. HistoricHotelsWorldwide.com promotes heritage and cultural travel by featuring a prestigious collection of historic treasures, including historic hotels, castles, chateaux, palaces, monasteries, haciendas and other historical lodging properties spanning twelve centuries. Historic Hotels of America is the official program of the National Trust for Historic Preservation® for recognizing and celebrating the finest Historic Hotels. 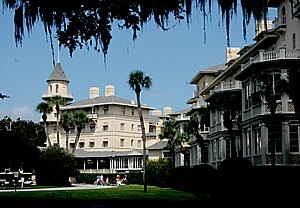 Historic Hotels of America was founded in 1989 by the National Trust for Historic Preservation with 32 charter members. Today, Historic Hotels of America has more than 260 historic hotels. These historic hotels have all faithfully maintained their authenticity, sense of place, and architectural integrity in the United States of America, including 44 states, the District of Columbia, the U.S. Virgin Islands, and Puerto Rico. Historic Hotels of America is comprised of mostly independently owned and operated properties. More than 30 of the world’s finest hospitality brands, chains, and collections are represented in Historic Hotels of America. To be nominated and selected for membership into this prestigious program, a hotel must be at least 50 years old; has been designated by the U.S. Secretary of the Interior as a National Historic Landmark or listed in or eligible for listing in the National Register of Historic Places; and recognized as having historic significance. For more information, visit HistoricHotels.org. To receive the free Discover & Explore e-newsletter each month with advance notice about Insiders Savings, special discounts, epic package, and up and coming events in historic hotels in 30 countries, plus free or reduced rate admission to historic and cultural sites, click here. To view the Historic Hotels of America 2015 Annual Directory eBook, click here or visit HistoricHotels.org/Directory to download the app. Washington, D.C. – The Palmer House Hilton of Chicago, the Inn at the Presidio of San Francisco, Portland Regency Hotel & Spa in Maine, the Omni Bedford Springs Resort & Spa in Pennsylvania and The Lord Baltimore of Baltimore were among the Historic Hotels of America 2014 Awards of Excellence winners announced at a gala ceremony at The Hotel Hershey® (1933) in Hershey, Pennsylvania on Thursday, October 2. Honors were given in multiple categories ranging from Hotelier of the Year and Hotel Historian of the Year to Best Historic Resort and Historic Hotelier of the Year. The hotels were nominated by fellow members, past award recipients, and honorees. A panel of experts judged and weighed the nominees in each category in order to determine a winner. As the official program of the National Trust for Historic Preservation, Historic Hotels of America provides the recognition to travelers, civic leaders, and the global cultural, heritage and historic travel market that the members hotels are among the finest historic hotels across America. To find more information about award winners from previous winners, click here. Historic Hotels of America was founded in 1989 by the National Trust for Historic Preservation with 32 charter members. Today, Historic Hotels of America has more than 260 historic hotels. These historic hotels have all faithfully maintained their authenticity, sense of place, and architectural integrity in the United States of America, including 44 states, the District of Columbia, the U.S. Virgin Islands, and Puerto Rico. Historic Hotels of America is comprised of mostly independently owned and operated properties, however, more than 30 of the world’s major hospitality brands, chains, and collections are represented in Historic Hotels of America. To be nominated and selected for membership into this prestigious program, a hotel must be at least 50 years old; be designated by the U.S. Secretary of the Interior as a National Historic Landmark or listed in or eligible for listing in the National Register of Historic Places; and recognized as having historic significance. For more information, visit HistoricHotels.org.